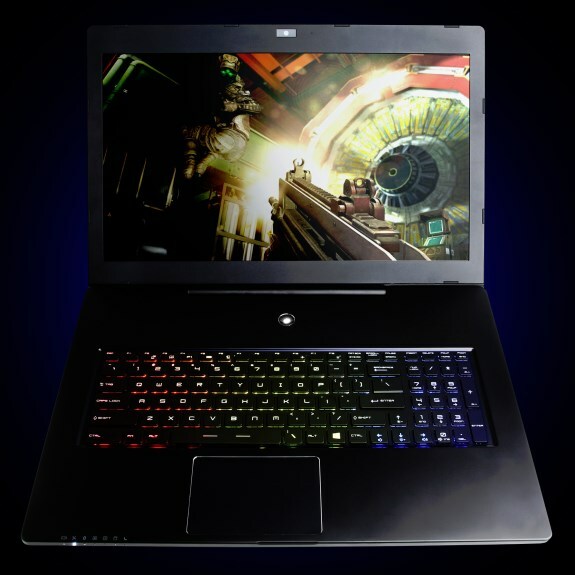 CyberPowerPC present the ZeusBook Ultimate, a new line that promise to be the world's thinnest 17" gaming laptops. The ZeusBook Ultimate features the Intel Core i7-4700HQ processor and NVIDIA GeForce GTX 765M graphics. Pricing starts at $1,429. CyberPower Inc. www.cyberpowerpc.com, a global manufacturer of custom gaming PCs, gaming laptops, and performance workstations, today announced its ZeusBook Ultimate series, the thinnest and lightest 17-inch gaming notebook to ever slay an opponent. The ZeusBook Ultimate measures less than an inch thick and weighs less than six pounds with more firing power than many chunky laptops that are mobile in name only. The ZeusBook will be offered in two models, the Ultimate 100 and Ultimate 200, both of which do not sacrifice power or portability and offer the same functionality of a full-size laptop in the slim form factor that’s easily transportable. No other laptop comes close to packing this much power in an elegant form factor. With performance powered by the latest NVIDIA GeForce GTX 765M gaming grade graphics and the newest Intel Core i7 “Haswell” processor, the ZeusBook Ultimate is capable of handling the most graphically intensive and system demanding games. GeForce GTX 765M graphics double your gaming performance and provides extra long battery life with NVIDIA Optimus technology. Users experience a whole new level of gaming with the best in performance and portability, and take it even further with the blazing-fast speeds of SSD. The ZeusBook Ultimate can also double as your home or business workhorse. It can run any PC-compatible application with Microsoft Windows 8 Pro (64 Bit Edition) pre-loaded. To keep ZeusBook running cool, it features dual fan smart thermal cooling, which optimizes and increases airflow via an automated cooler boost. Even under the hottest and heaviest tasks, dual fan functionality ensures the ZeusBook never gets overheated. For the ultimate HD immersive experience, the ZeusBook’s Matrix Multi 17-inch display can connect up to three external monitors for complete immersion. For the ultimate multimedia experience, the ZeusBook can support Super HD 3840 x 2160 resolution, which is four-times the resolution of a Full HD display for incredibly detailed and lifelike images for gaming and movie watching. The ZeusBook Ultimate does not skimp on sound quality. The system kicks out HD Surround Sound with its ample-sized speakers and a built-in subwoofer to deliver a crystal sound clarity and immersion. An anti-ghosting full-size gaming keyboard is also standard. The keyboard is fully color-customizable with thousands of color combinations and five preset configurations. The anti-ghosting capability allows you to capture simultaneous keystrokes to take control of any battle. Base price for the ZeusBook Ultimate 100 is $1429. All CYBERPOWERPC gaming notebook systems include a 1-year limited warranty.